Local, regional, and even national acts come to Lansing each year to participate and thousands more come to hear them! 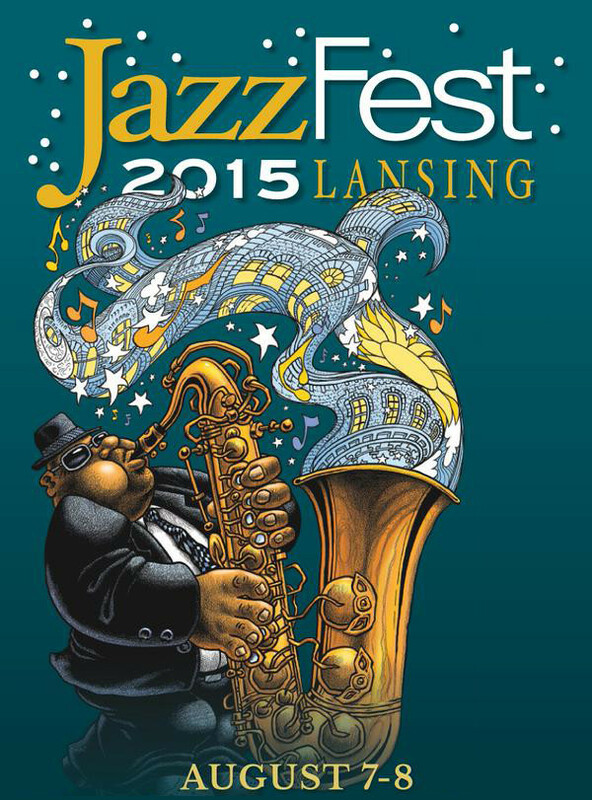 Lansing JazzFest 2015 will be held in the streets of Lansing’s Old Town, amidst the classic architecture of the Capital City as well as its attendant art galleries and boutiques of unique retail goods, most of which stay open for the festival. Street vendors will be on hand with delicious food and refreshing drink while local artisans will display their one-of-a-kind, handmade arts and crafts. One of the best options for enjoying Lansing JazzFest is The Turnaround Lounge – a prime location to enjoy music from both main stages during the festival, as well as the premium beers, ciders, and wines made available by Westside Beer Distributors. A seat in the Turnaround Lounge is only $5 a day – but the perks are priceless. Get your ticket for the Lansing JazzFest Turnaround Lounge now before they sell out! As you can see, there are still some holes in the Lansing JazzFest schedule that will be filled as the date approaches – be sure to check the JazzFest site for updates as they happen! The English Inn, Restaurant and Pub is always a great alternative for Lansing lodging – located a mere 20 minutes away from the city, Eaton Rapids offers a conveniently located respite from all the hustle and bustle. Enjoy our choice amenities, delicious meals, and the lush, relaxing serenity of our estate’s historic gardens. English Inn, Restaurant and Pub – treat yourself.